A woman told me an interesting story about her workplace. She was a new employee of large firm and worked with a couple dozen people on her floor. There was one woman in particular who seemed to be the “chief hen.” She had been with the company since the beginning and apparently had some influence on how things ran. This woman would make her way from desk to desk making comments and small talk throughout the day. At times the things that came out of this woman’s mouth were not nice and she did not care that she hurt her co-worker’s feelings. Those who were around her when she would do this would not say anything to her about it. It finally dawned on this new employee that the others were afraid of this woman and did not want her to pick on them next. It finally was this new employee’s turn to be initiated by the “chief hen.” The woman began making negative remarks about this employee’s hair and clothes, which she shook off easily. Then the “chief hen” got a bit more serious and intimidating about this woman’s religion and her capability to perform because of her young age. The young woman decided that she was not going to take this type of harassing behavior and told the “chief hen” to stop talking to her if she did not have something nice to say. She also documented when and what this woman had said to her. The “chief hen” did not stop, and took her request as a challenge and continued with what she called “joking with her.” The young woman went to her supervisor to make a formal complaint. To her surprise the supervisor asked her if she could just overlook this woman’s behavior as she had been with the company for a long time and would be leaving in a few years. The young employee was shocked to say the least and told her supervisor that she had witnessed this woman harassing most of the employees on the floor. She asked her supervisor to pursue an investigation and talk to the other employees in private to see if they felt the same way. The supervisor did have to act on her request because the company’s harassment policy in their employee handbook, which this young employee, so kindly, brought to her supervisor’s attention. Several other employees did feel that they were either intimidated or harassed by the “chief hen” and they felt that their work was affected by her behavior toward them. 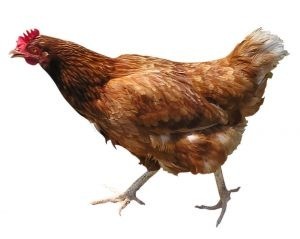 When the supervisor and HR person talked to the “chief hen,” it did not go well and she decided that if she could not be “herself” at work then she would not work there anymore. What amazed me about this story was all of the years these co-workers took this woman’s abuse and did nothing about it. Many hated coming to work each day. They had a policy that would handle these types of situations and protect them, yet they did not use it. Thank goodness that their new co-worker had the knowledge and willingness to do something to stop this woman’s bad behavior at work. Now that the toxic employee is gone they are all very happy and production is up, which makes the company happy. This entry was posted on Wednesday, July 1st, 2015 at 8:00 am by Tina Del Buono, PMAC. Filed under Employee Management, Employee Training, Medical Practice Management, office management. You can follow any responses to this entry through the RSS 2.0 feed. Both comments and pings are currently closed.